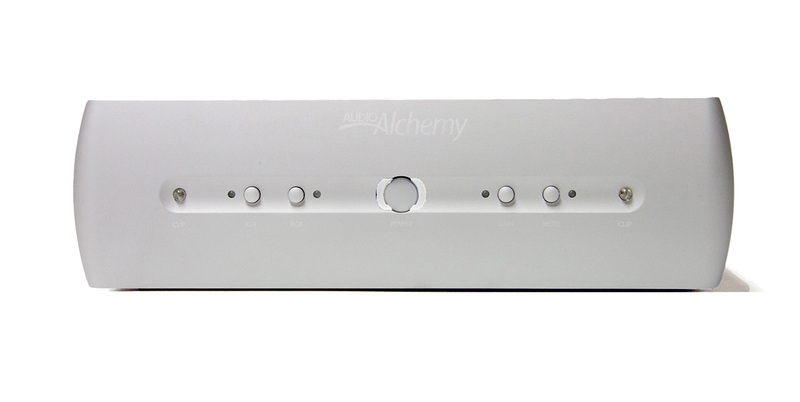 Audio Alchemy created the DPA-1 Digital Power Amplifier to perform not just in today’s stereo systems, but in tomorrow’s systems, too. The core of the DPA-1 is a wizardly circuit topology that combines the musicality of traditional Class A and Class AB amps with the power, dynamics and efficiency of the latest Class D designs. From a chassis just 10.5 inches wide, the DPA-1 delivers 125 watts per channel into 8 ohms and 200 watts per channel into 4 ohms, plenty enough power even for the largest tower speakers. It might seem like magic, but it’s just solid engineering. The input stage mirrors those found in many of the world’s best and most expensive amplifiers: a Class A topology composed of discrete FETs and powered by a semi-toroidal transformer. This pure analog stage preserves every last detail and every ounce of musicality, and properly amplifies and buffers the incoming signal so it’s ready to move on to the output stage.